At various stages of its existence, the Alhambra model has been one of the better selling of the people-carrier genre but, asks Iain Robertson, while this Seat increased registrations in the UK last year, what future does it have? To be frank, I am concerned about many of the recent changes taking place within the UK motoring scene. To be fair, it is not just here, as the various influences are being felt abroad too. According to a recent survey, ‘autonomous motoring’, a development by which the driver might be regarded as superfluous to vehicle operation, ‘is something that over 67% of the British driving population’ seems to want. Informed of this as a young and impressionable lad accompanying my father on countless driving escapades (he was an ardent driving enthusiast, a rallyist, a proud holder of an immaculate Driver’s Licence but one to whom the motoring laws of the land were little more than a tenuous guideline), the heinous image was implanted in my temporal lobe. As a teenager on my first visit to North America, I soon realised my father’s wit, as most of the Americans I met were neither crutch-users, nor mono-pods rotating helplessly around their solitary working limbs. Yet, he had emerged as a decorated pilot from the ravages of WW2, with a love of fast, sporty cars, not always of British manufacture. He taught me how to ‘double declutch’ (an essential practice on some non- and worn-synchromesh manual gearboxes). He taught me how to use the centre-line of the car’s bonnet as a means to remain the correct distance away from the kerb. He educated me in the powers of intense observation, to avoid unwanted attention and how to progress at unabated speed. He would be turning in his grave, with the detail of that aforementioned survey. While his views may not have always been politically correct (‘a true lady must never drive, as they don’t have the capacity for it’), he believed that ‘uncontrolled sexual passion led to over-population of the planet’ (he was not wrong there) and that families with more than three children deserved ‘to be driven around in vans-with-windows’. While the craze for people-carriers may well have commenced in North America, passing to our side of ‘the pond’ within the customary decade, despite his RAF career, he considered the acronym to be a product of ‘the uneducated seeking a shortcut to wisdom’. The MPV would have been a case in point. Fecundity was not a proper reason to have transport mobility in his book. Yet, in mine, the prospect of possessing an up-market light commercial (a ‘van with electric windows’) holds many virtues, not the least of which is a joyous amount of space, within a relatively compact footprint. 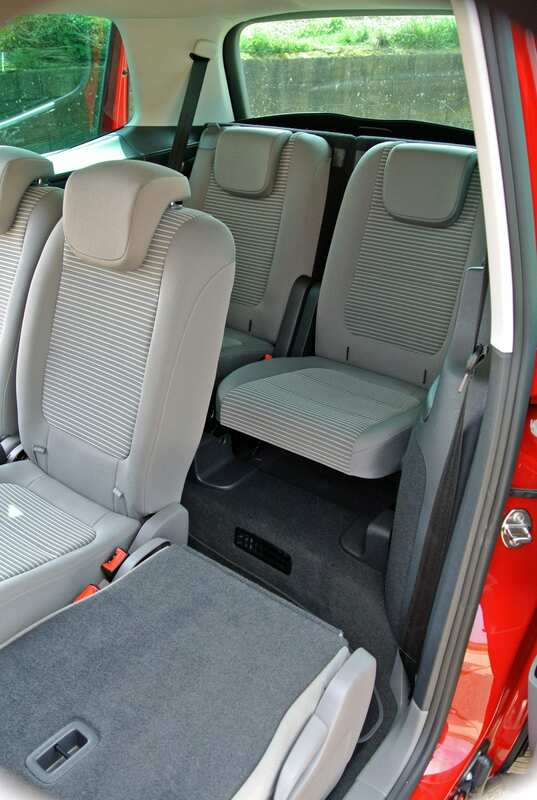 The Seat Alhambra provides comfortable and flexible seating for five (plus two, albeit in slightly more cramped quarters in the boot of the vehicle). 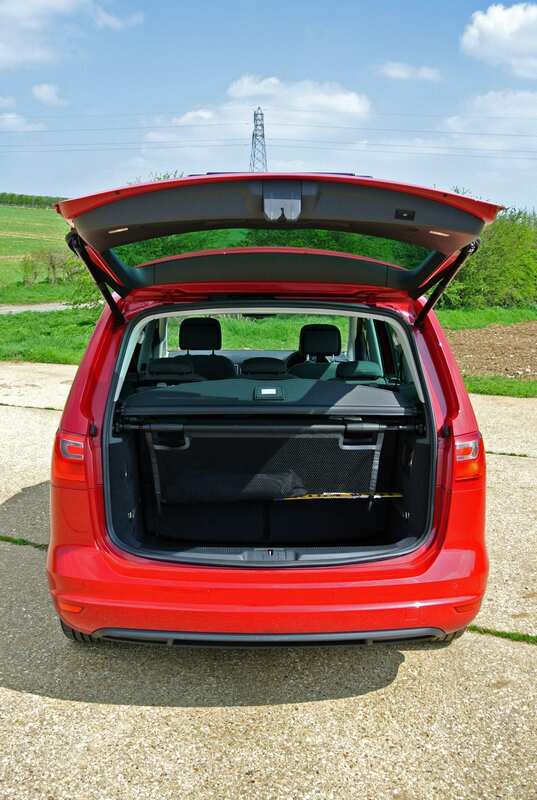 Eminently accessible, with hatchback access to the boot (which is teensy, unless the rearmost seats are folded into the floor), twin side-sliding doors and wide opening front doors, in my book, this is the ‘everyman vehicle’, ideal for families and businesses. However, fast becoming lost in a maelstrom of agricultural SUV hyperactivity, a market development that I have never truly understood beyond the realms of Farmer Giles, MPV has already started to lose its allure. While Seat can boast of increased sales of its Alhambra, it was starting from a fairly low base. Good heavens! Even MG can boast of fantastical sales figures…in percentage terms, naturally. Yet, I should like to stem the reduced sales of MPVs. Fellow Motorists! I want you to cease the senseless purchase of ever-so-trendy SUVs, realise that they are just a passing fad and ‘get real’ by investing in an MPV. 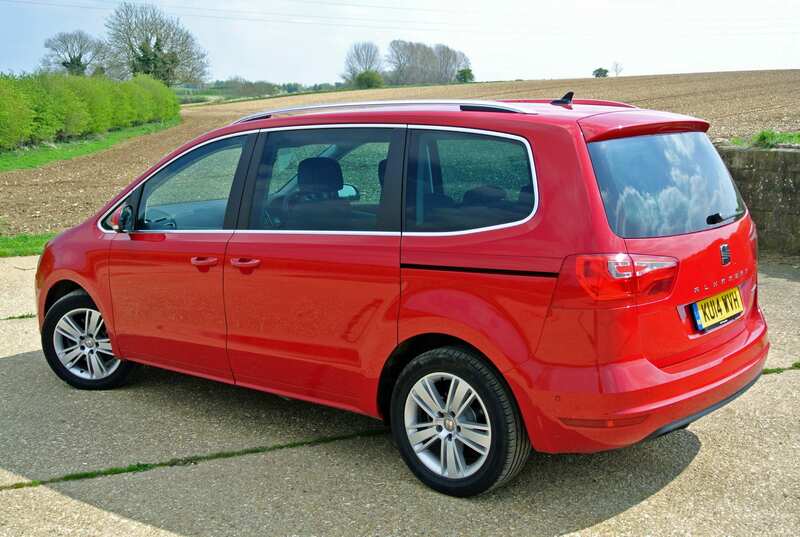 While you are at it, the Seat Alhambra is a ‘best of breed’. Built at a plant that VW Group once shared with Ford, at Palmela, Portugal, that is also home to the VW Sharan, if there is one core issue surrounding the Alhambra it must lie in its anodyne appearance. There is nothing intrinsically wrong with it but it does lack design flair. Having said that, it is a spacious, comfortable and highly competent people-mover. Powered by a 137bhp version of the Group’s 2.0-litre turbo-diesel engine, in Ecomotive guise, mated to a 6-speed manual gearbox, it manages decent performance and moderate fuel economy. Sadly, its Official Combined fuel return of 50.4mpg was outside of my reach, although I still managed a decent 38.9mpg after a week’s mix of motoring, with which I most satisfied. Equipped with stop-start technology, it emits 146g/km CO2, which equates to a modest VED annual fee of £145. Its top speed is around 115mph and it is capable of despatching the 0-60mph benchmark in around 10.5 seconds. However, no Alhambra driver will be seeking hot hatch rivalling figures…well, he should not do so, while transporting an offspring’s 5-a-side football team to a Saturday match anyway…although they are all perfectly respectable. Thanks to the combination of a fairly low centre of gravity and well-damped suspension, the Alhambra can boast an excellent handling capability. 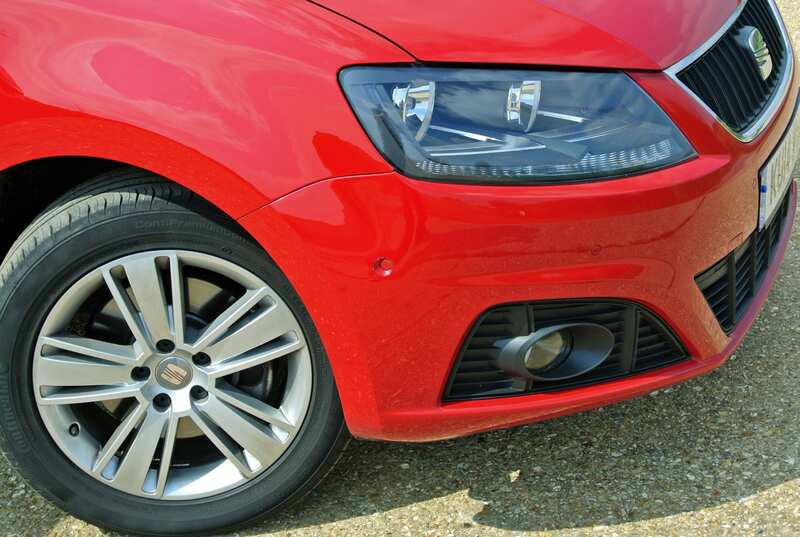 Body roll is minimal, although the ride quality is sublime, which highlights that Seat’s engineers performed an ideal task for Alhambra owners. In fact, it will run rings around most MPVs on the handling front, while retaining good steering responses, first-class brakes and well-defined dynamics, which are most useful in all driving circumstances. The usual flip-up tables are incorporated into the backs of the front pair of seats, although rear-most seat passengers will rely on their convenient window-ledge ‘bins’ and the centre seat occupant of the middle row can twiddle his or her thumbs. The middle row seats can be slid fore and aft to create more or less legroom for occupants. Do not look for much more practicality than this, because you do not receive it. As suggested earlier, the Alhambra has a purpose in life but it just lacks that vital spark of creativity. 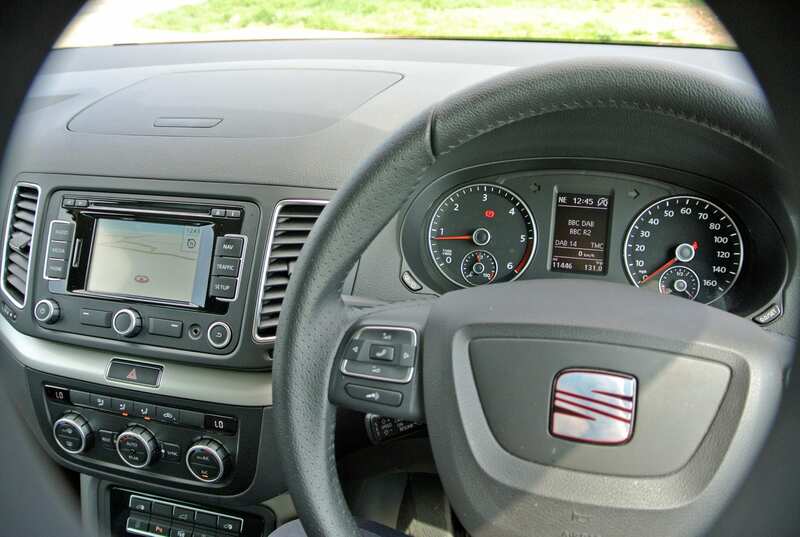 Thanks to a lofty driving position and a decent range of adjustability of both seat and steering column, the view from the command seat is excellent. 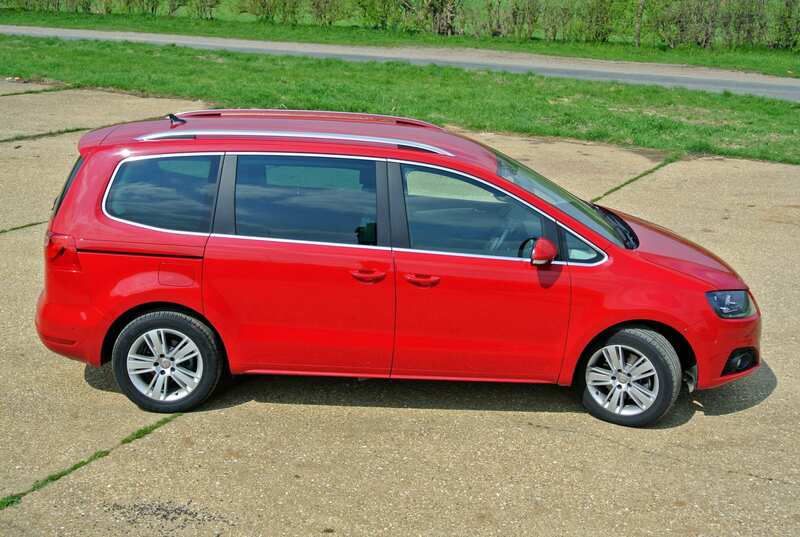 The bottom-line is that the Seat Alhambra is a competent space-wagon. However, the question that I posed up-front about its survival rate is hindered by its lack of panache. Modern SUVs, whether in proper 4×4, or ‘look-alike’ 2WD forms, grab potential buyers’ attention and can factor in the extra seats in several models, even though their actual carrying capacity is perhaps not as great as that of an MPV. For my money, the people-carrier offers benefits that the typical SUV lacks, not least in significantly lower life costs. Yet, it is style and character that seem to be lacking and, as long as today’s car buyers remain on a superficial treadmill, SUVs will continue to eat into their market share. 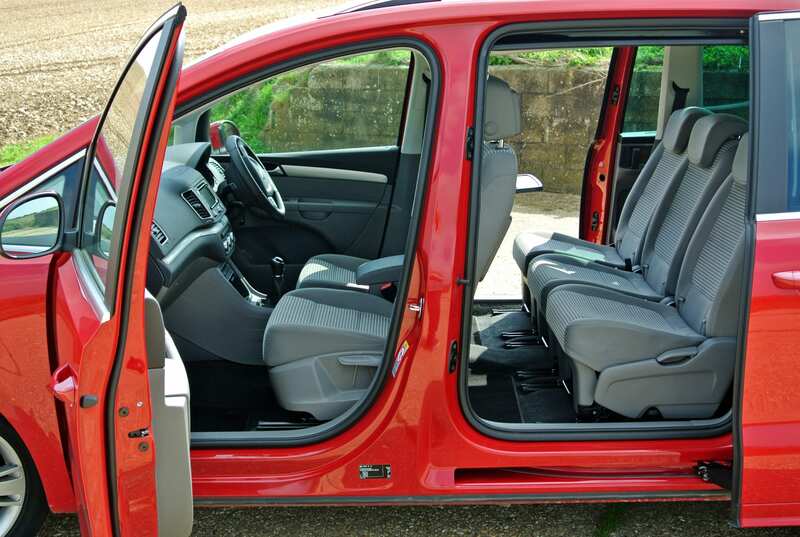 Conclusion: Seat produces a first-class MPV in the Alhambra. Comfortable. Roomy. Refined. Cost-efficient. You can acquire one from as little as the £30,900 of the test example (ranging up to £33,705 for the 174bhp version, with DSG automated transmission). As a decent example of automotive practicality, the Seat passes muster with aplomb, although its survival is linked to the company’s will to enhance the package with a few ‘tricks’. Sadly, I feel that the will is not present. Perhaps my father was right all those years ago? « Volunteer rescuers busiest night ever!